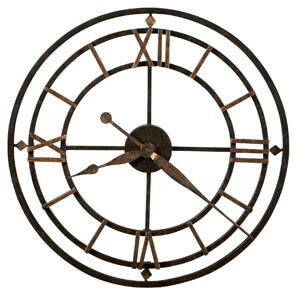 This antique style wrought iron wall clock is finished in aged iron with antique gold-finished outer ring. 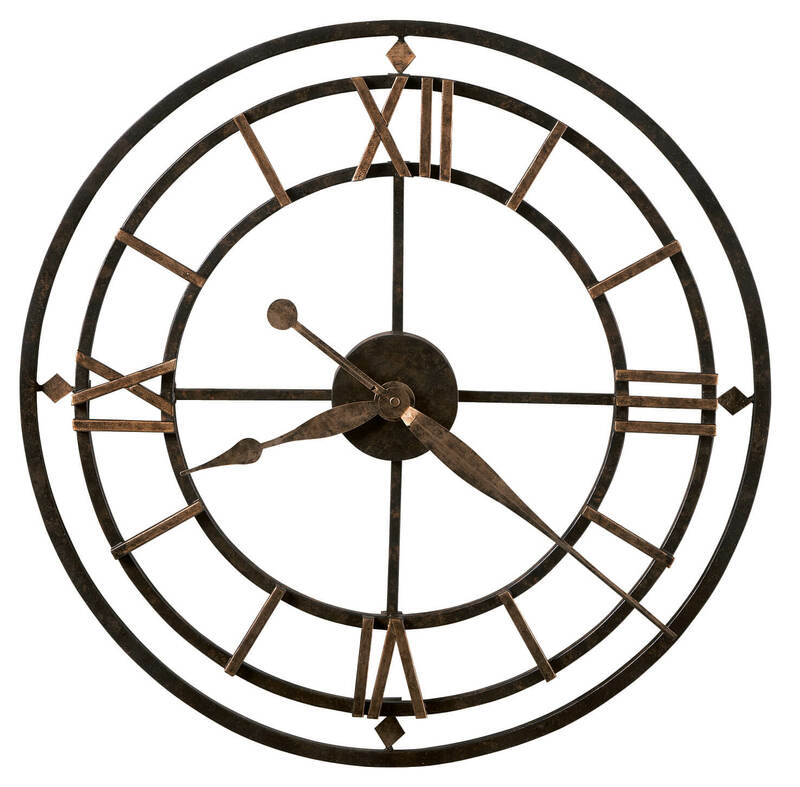 Antique gold-finished diamond shapes and Roman numerals mark the 12, 3, 6, and 9 hours. Antique gold-finished hour and minute hands. You will save $64.20 (30 %) on this Howard Miller York Station 625-299.